Learning NEXT: Got grit? Is that the right question? Got grit? Is that the right question? A friend of mine recently asked me about an article published in The New York Times. Well, there were several articles/editorials related to the publication of Dr. Duckworth's book. The first was an April 2016 interview in which Duckworth says--and please remember this out of context--" The parenting style that is good for grit is also the parenting style good for most other things: Be really, really demanding, and be very, very supportive." Hmm. 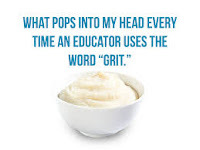 Grit started getting its own headlines soon after Angela Duckworth's TED Talk started making the internet rounds. 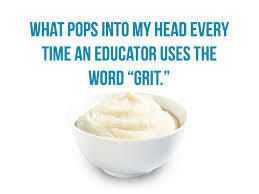 Soon educators were talking breathlessly about grit and its important for student success. An easy digression here is to talk about student "success," but I'll refrain. For the moment. 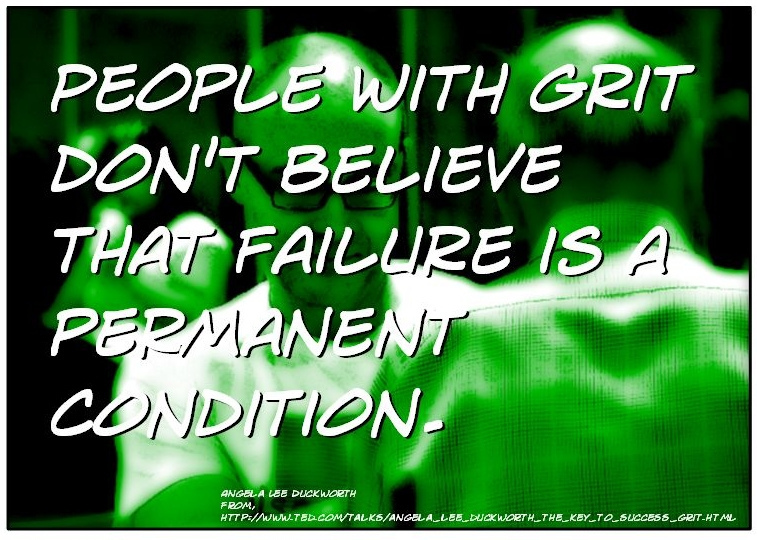 I am NOT suggesting there is no value in talking about grit. I've posted about Duckworth's video and some of the important points she made. I love some of her ideas and applaud them. But helping kids become grittier or helping them find their grittiest or grittier selves is not the answer. Then came a New York Times book review in May by Judith Shulevitz. I began to be concerned for Duckworth's own grit in navigating what was yet to come. As Shulevitz notes, "Duckworth never questions the values of a society geared towards winning, nor does she address the systemic barriers to success." In early June, Duckworth was published in The New York Times and it is what looks to be a commencement speech. Now Duckworth has been described by a colleague as one of the grittiest people he knows. More from him shortly. So I read her message with interest. 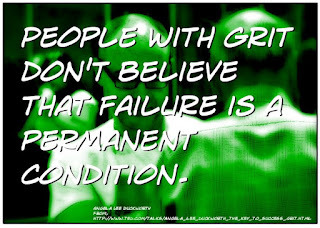 She speaks nothing of "grit," at least not directly. What she does say, and I paraphrase generously, is that it's important to figure out what drives you by fostering your passion, but also to realize that the first step is not the last step. Like many of us, Duckworth did not move directly into the career that has proven (so far) to be her passion. It took her a few steps to get there and, along the way, she learned more about herself, her interests, and her abilities. At the end of her message, Duckworth says this: "Work as hard on your last as on your first." Now put this together with an earlier statement on finding purpose. I've heard this notion elsewhere: rather than ask kids--or anyone--what they want to be when they grow up, ask them how they want to make a difference in the world, what problems they want to solve. That's finding a purpose. Here's an important point to consider: that purpose may NOT be in your work. That is, the job you do on a day-to-day basis may not be the avenue for making a difference or solving a problem. That work may be a means, however, that allows you time, opportunity, and maybe even money to make a difference or solve a problem. Having said that, I don't want anyone thinking they can't make a difference in the most menial of jobs. Nearly every day I am grateful, grateful, grateful for the people who are willing to do so many jobs I can't imagine doing. I'm thankful, thankful, thankful for the housekeeping staffs in hotels, for the people who work the cash registers pretty much anywhere I have to shop, for the people who pick up my trash and haul my garbage, for the people who do jobs I don't even know exist but who contribute to the infrastructure of making the world in which I live a better place. THOSE people make a difference in a profound way and are often looked down upon because their work doesn't seem as "important" as someone else's. Pshaw. Getting up to go do those kinds of tough jobs and for mostly ungrateful and/or unaware people, and often that being only one of two or three jobs, now that's grit. Okay, so back to Duckworth. Scott Barry Kaufman of Scientific American is a colleague of Duckworth's and wrote a review of her newly published book, one I have not read and, to be honest, probably won't. Well, maybe won't. If someone gives it to me, then maybe I'll read it. Anyway, Kaufman writes about the response to Duckworth's book and that some people might be misunderstanding the title, the purpose, and/or the content. While Kaufman offers some insightful critiques on her work, he also builds on her work because he reminds us the research is not yet finished. That's the problem with writing a book: too many people think a published book is the end of the story, as it were. Maybe a publisher needs some sort of indicator that there is more yet to come so read this book in anticipation of further research and learning. Well, it's a thought. As Kaufman thinks about his work and Duckworth's, as well as that of his colleagues and fellow researchers, he notes "Additionally, I think these findings, combined with my own study, point out something interesting about real-life creativity: creativity requires both perseverance and openness to experience." He further elucidates his thinking, inviting readers to think about their own stories and experiences, but also reminds us the work is not yet finished. When Duckworth's TED Talk became a darling of K-12 circles, grit and helping kids become grittier became a thing, along with a few other things that were school and district initiatives. The big question was how to help kids become grittier as though simple grittiness would be a solution to kids' performances in schools. Ahh, but regardless of the school situation in which they find themselves, students' abilities to navigate to success are not limited to grittiness in the classroom. And that's why, in many ways, asking about grit is not the only question we should be asking nor is it always the right question. More to come. First pedagogy, then technology. Maybe.